Arizona Charlie's Decatur Hotel and Casino, The Last Buried Treasure in Nevada, is a Western/modern motif property featuring great food, comfortable accommodations and a go-to place for gatherings or shindigs. 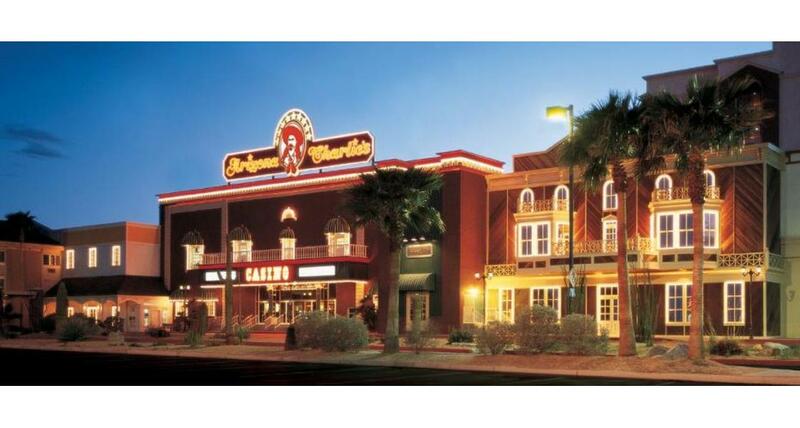 The old timers here at Arizona Charlie's Decatur welcome all visitors to their neighborhood establishment, with more than 250 guestrooms, 9 suites, over 1,100 strike it rich slots and a whole mess of shootin' match table games. The property also features a full service race and sports book, poker room, live keno, and 24 hour Bingo Parlor. Great deals can be found on meals here - a 10 oz New-York Steak with all the trimmings for less than market value or a Steak & Eggs combination with sides for pennies on the dollar in the Sour Dough Cafe. And, for those of you coming in from the range, the Charlie's Market Buffet provides an all-you-can-eat spread of rib sticking treats. Enjoy fine dining at the elegant and sumptuous Ron's Steakhouse. Looking for a casual lounge to relax? Enjoy nightly music and friendly service throughout the casino with live entertainment Fri - Sat evenings. There is something for everyone at Arizona Charlie's. They have a 4,500 square feet Banquet Facility that will accommodate any Quinceanera, wedding or reception, social gathering, religious function, party or meeting.